Home → Uncategorized → What does basement mold look like? How to tell when you have a basement mold problem. Many people do not know when they have a basement mold problem, or if it’s just harmless cosmetic stains. If you’ve never seen mold, how do you know what mold looks like? 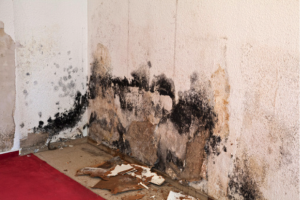 There are a few signs you can look for to identify whether you have basement mold. We’ll help you figure out what it means for you! 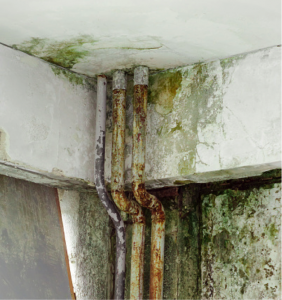 Mold is found in wet places, and on surfaces that retain moisture instead of drying properly. If you’re looking for mold, you often find it in the basement. It’s the perfect breeding ground, because it is damp, dark, and above 40 degrees Fahrenheit. Basements are also often unventilated, which makes it easier for humidity to stay in, and basement mold to grow. Shower heads, caulking/grout around tiles and tubs, base of a toilet. All are consistently wet, can cause condensation, and may not always dry fully. 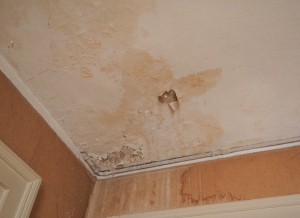 If there is an unnoticed leak, moisture can build up and result in mold. If they are uninsulated, they are likely to create condensation, which also can result in moisture and mold. What does harmful mold look like? 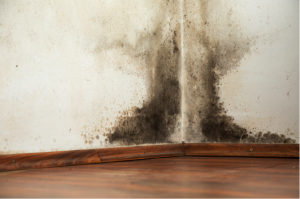 You’ve probably heard of black mold, and if you haven’t, we’ll tell you – it’s not pleasant, and it’s not healthy. 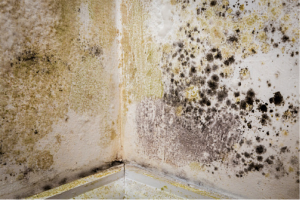 Black mold is toxic and grows in damp, warm environments like your basement. It will often be slimy, and a dark color that shifts from green to black or even gray. If you see something you think may be black mold, call a professional immediately. Your family will thank you! Not all mold is toxic. 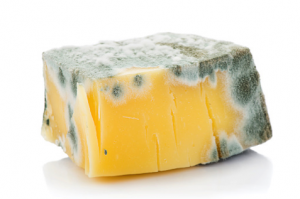 For example, the type of mold you see on your food might not hurt you, but it doesn’t mean you want to eat it, and you certainly don’t want it in your home or basement. Furry growths, like on food. Typically, mold colonies will grow in round patterns. They come in many different colors, other than just black; mold can also be green, white, brown, or yellow. 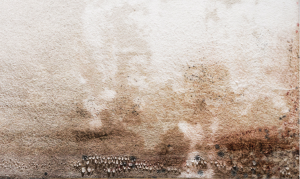 A good identifier of basement mold or mold in your home is a yellow or pink stain on wallpaper or drywall or wood. That often means there is mold growing in that area. Musty, mildew, and dirty. That’s the simplest way to put it. If you walk into your basement and are hit with an unclean, earthy scent, you likely have some type of mold in the basement. Again, it may not be toxic, but make sure you’re checking at-risk areas to find anything that may be dangerous. What do I do if I think I have mold? A simple, inexpensive fix is increasing the light in the space. You’ll want to look for LED bulbs above 4,000K in spectrum temperature, or 100-watt bulbs, in a larger area. In smaller areas, a 40-60 watt is acceptable. Leave these lights on continuously in a basement with lots of mold or mildew. This trick will stop mold growth in basements or any other dark, damp space in your home. The key to keeping your family safe and comfortable is ensuring you are looking for signs of unhealthy and unsightly mold. If you’re not sure, call an expert! They’ll help you determine next steps. At Basement Waterproofing, we’ll come by for a free, no-obligation estimate, give you all your options, and let you make the decision that is right for you.